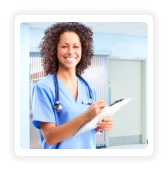 Build Your Career with an Online Nursing Education Program! Emiraza College Master of Science in Nursing (MSN) degree programs have been designed to help you elevate your nursing career to the next level. Advanced degrees are often mandatory for administrative, research, consulting and teaching positions at many healthcare facilities and colleges. Let Emiraza College help you earn an online Master of Science in Nursing Education!